Last week, Chris Roberts came out swinging with his blockbuster announcement of Star Citizen. We managed to catch up with Chris at GDC Online last week to talk about the game and much more. Keep reading! While GDC Online may have seemed quiet to some, it was not quiet for Chris Roberts. Chris is a game design legend known mostly for Wing Commander, a very popular game in the late 1990s which many view as one of the top space combat games of all time. After much success Chris moved on to films for a while and got out of the game busthewariness. However, he confessed to us that he has never stopped playing video games on a daily basis. 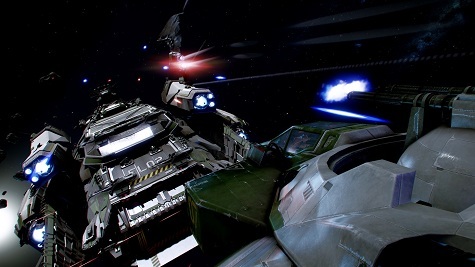 Now years later, Roberts is re-entering the galaxy with Star Citizen, an in-depth galactic world with ships, space stations, single player options, and massive online battles.Â The game offers a lot to players and the opening cinematics we saw at the show are breathtaking. We got the chance to talk to Chris at GDC Online and were extremely impressed with what we saw of the game.